Do you remember learning about the Ice Age in school history lessons? How about plate tectonics and the phenomenon of “continental drift” in geography and geology? Remember them happening at the same time? Well, depending on how kind Father Time’s been to your grey matter over the years, you may or may not. Hell, some of the kids watching this movie probably think you’re old enough to have been IN the Ice Age if you’re over the age of 26. And as with the inevitable passage of time and the joys it brings, here comes the the fourth instalment in the Ice Age franchise. But is the ice beginning to crack beneath its feet, or is there a *ahem* (faux-Austrian accent) “freeeeze cahming“? 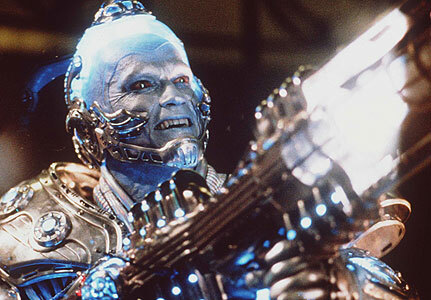 If you recognised that Batman & Robin reference, then you may be one of those perceived ancient “Ice Age” dwellers like myself. But that isn’t the audience that Ice Age: Continental Drift (aka Ice Age 4) is primarily aimed at is it? It’s a film choc-full of slapstick comedy, regurgitation and silly voices, with that sickly sweet undercurrent of a “message”. You probably think I’m winding up to deliver a one-two haymaker filled with bile and scathing opinions about this film right? If you looked at the Rotten Tomatoes score, you’d probably expect that too. But I’m going against the grain here. No, this movie isn’t going to revolutionise cinema as we know it, nor does it represent the second coming of Christ, but it is a genuinely enjoyable romp for the most part. 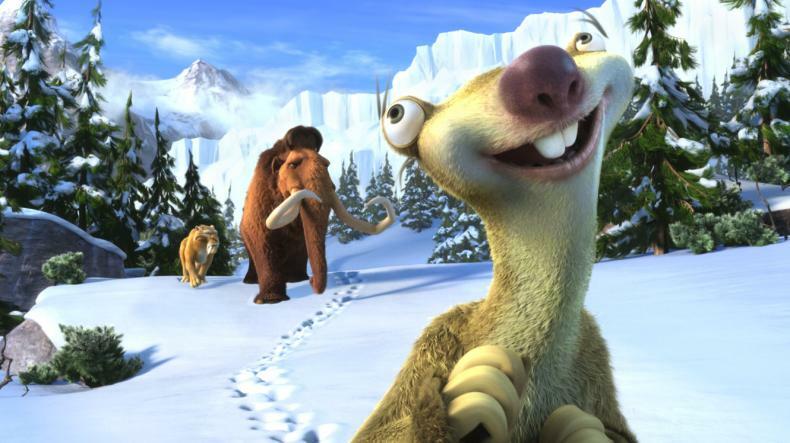 In case you’ve been living under a rock for the past 10 years, the series of films follows the exploits of a mammoth, sloth and sabre-tooth tiger, voiced by Ray Romano, John Leguizamo and Denis Leary respectively. It’s a typical animated series in regards to the fact that its formulaic in its outlay: all’s well, a problem occurs, whacky adventure ensues and everything ends happily. These adventures have consisted of returning a human child to its parents, avoiding global warming and saving Sid (the sloth) from a land of the dinosaurs. Hey, no-one said this series was historically accurate! Last I remember, animals didn’t speak English either. They spoke Afrikaans, everyone knows that. And that only began in 1826. Indeed, this series doesn’t disappoint in terms of a whacky, inaccurate theme – yes, the continents are splitting apart super fast to form a geographic pattern we recognise, leading to our crew embarking on an adventure. With Pirates. Like The Pirates! In An Adventure With Scientists! but supping from the crazy juice. So why am I not tearing this film apart? It genuinely made me smile and laugh. Maybe this is a reflection on me, but it was echoed by the rest of the audience too: from the young to the elderly. Sure, it doesn’t have the *nudge nudge, wink wink* subtly adult themes and humour of animated movies like Shrek, The Incredibles or Monsters Inc., but it has flourishes, such as Sid breaking the fourth wall and reflecting on the fact that the dinosaur plot from Ice Age: Dawn of the Dinosaurs made little-to-no sense whatsoever. The film also featured an ape “Pirate Captain”, voiced by Peter Dinklage (currently featuring in Game of Thrones), which was originally intended to be voiced by Hawkeye, aka Jeremy Renner. Now this ape doesn’t do anything particularly funny – he’s just the big bad guy that gets slapped around. But what I did find funny was how similar it looked to Ron Perlman. An odd aside, but I found it somewhat amusing. Separated at birth? 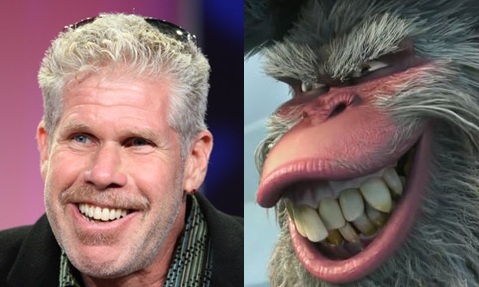 Don’t get me wrong, I love Ron Perlman, but there’s something there right? No offence Ron… and Gutt. Maybe the film was entertaining as it reminded me of being a child and watching Wile E. Coyote chase Roadrunner, which was slapstick comedy at its finest back in the late 80’s. Regardless, the film made me smile, and I was in no way bored when “the gang” were on-screen. The same goes for the “new” additions, such as a genuinely funny Flynn the elephant seal; ably voiced by the fantastic Nick Frost. However, the film was simplistic, and anything that revolved around Manny’s (Romano) daughter Ellie (Queen Latifah), was mind-numbingly tedious and drawn out. Whilst mentioning Queen Latifah, it’s also interesting to point out that the casting directors must have really wanted a well sung credits song, employing the voice talents of Jennifer Lopez, Drake and Nicki Minaj as various animals. I really have to mention Nicki Minaj, as her often schizophrenic singing intonation is perfect for animated films. Seriously. Put this girl in more of these films, I’m being genuine. Overall, this film obviously has its pro’s and con’s. If your interest in the series is waning, this’ll do little to breathe frosty life back into the dying mammoth that is your passion, but if not – get out and see it for some light-hearted humour. If you have kids, they’ll probably enjoy this, and you will too – animated features have come a long way since the pre-Toy Story era. And if they don’t laugh, I’m sure they’ll just be entertained by the flashy bright colours and how funny it is to kick the backs of the chairs of the row in front at the very least. And you can put money on seeing Manny & Co. in another year or two. Hopefully with Ron Perlman again.